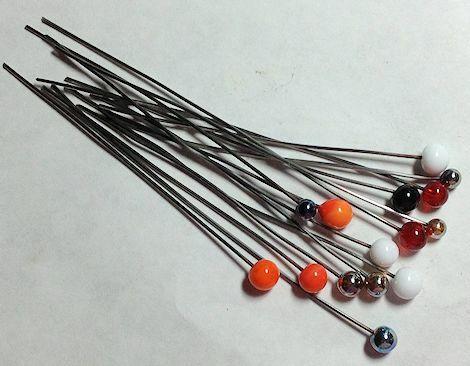 I was trying to think of a way to make some pretty head pins for the cell phone charms and zipper pulls I make. I found some stainless steel wire, cut it into pieces and melted some glass to make the little balls on the end of the wire. The wire came out of the kiln a really metallic blue. Pretty neato. But I didn’t want to leave them like that so I polished it off. 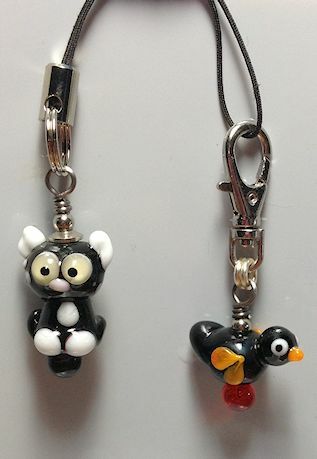 These are a few charms that I made with the glass head pins. I need to test them and see how well they hold up.